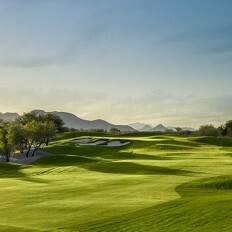 Arizona, Scottsdale is a golf holiday haven of courses such as the TPC and luixury resorts as Fairmont Scottsdale. If you’re looking for a side of adrenaline to accompany a sun kissed holiday then Scottsdale Arizona could provide the perfect venue. Along with the hiking trails that span not only mountain ridges, but history itself, you can take to the skies in hot air balloon rides that soar over saguaros, desert washes and scurrying coyotes. Jeep tours that plunge into rugged backcountry, proving the Wild West is still alive and well. If these attractions sound like experiences that would take hours to reach from some remote destination…think again. They are all located right in Scottsdale's scenic backyard, the Sonoran Desert.